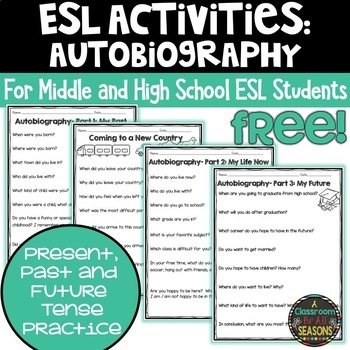 An autobiography is a great way for your ESL students to practice writing in various tenses. It is also an excellent way to get to you know your students a lot better! Depending on the level of your students, you can complete this as one project or three mini projects. 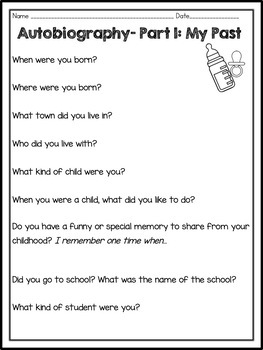 This can also be used as a speaking activity. 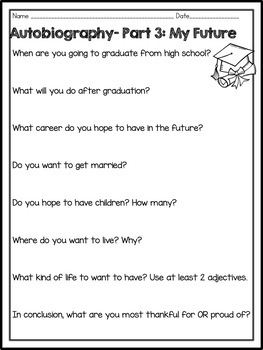 Students can use the questions to interview one another and even create a presentation for the class.